Back in the late 1990s, Levon Helm — best known as singer/drummer/mandolinist of The Band — came down with throat cancer.It left his once-mighty voice a pathetic rasp. He was unable to sing for many years. 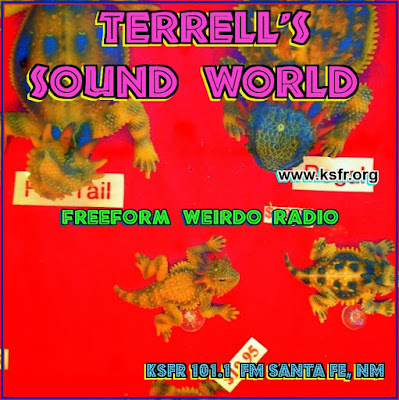 When he came through Santa Fe in 2001 with the Barn Burners, he was just the drummer. But the 67-year-old Helm has nursed his vocal cords back to health, and his new solo album, Dirt Farmer, shows him in fine form. The voice that brought us “Up on Cripple Creek,” “The Weight,” and “The Night They Drove Old Dixie Down” is back. More good news: the material on Dirt Farmer is worthy of that voice. No, it’s not in the same stratosphere as the songs on those classic albums by The Band. But Helm has assembled a fine batch of tunes — including works by Steve Earle, Buddy and Julie Miller, the late Chicago bluesman J.B. Lenoir, British songwriter Paul Kennerley, and the Carter Family. There’s not a weak song here. 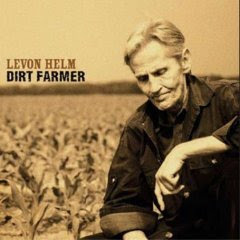 And Levon’s put together a tight little band featuring his daughter, Amy Helm, on harmony vocals (and drums and mandolin on some tracks) and guitarist Larry Campbell (a Bob Dylan sideman in recent years). The album starts off with a spirited rendition of “False-Hearted Lover Blues,” which Helm says in the liner notes is a tribute to the Stanley Brothers, but it also has some dark edges of Doc Boggs. Helms’ voice always has been suited for historical songs. Here he sings Kennerley’s “A Train Robbery,” which deals with the career of Jesse James. (It originally appeared as a bonus track on the CD rerelease of Kennerley’s 1980 song cycle The Legend of Jesse James, a various-artists project in which Helms participated.) “We all know he was nothing but a Missouri farm boy just fighting to stay alive,” Helms sings ofthe famous outlaw. That song gave the album its title, but the real theme song is Lenoir’s “Feeling Good.” Levon trades vocals with Amy (her solo vocal parts remind me a lot of Carrie Rodriguez), and this upbeat blues is a triumphant declaration for him. It’s great to hear Helm’s voice again. It’s true, Fogerty sounds a lot like Creedence Clearwater Revival here. But he always sounds a lot like Creedence Clearwater Revival. I know there were other members of the band who contributed, but face it — as singer, songwriter, and lead guitarist, Fogerty was for all practical purposes Creedence Clearwater Revival. But forget that particular hype. This is a darn good album, better than his last comeback album, 2004’s Déjà Vu All Over Again. As you might expect from the man who wrote “Fortunate Son” and “Run Through the Jungle,” there are some pig-bitin’ protest songs on Revival. I know that I panned R.E.M.’s recent protest songs just last week. The main difference is that Fogerty’s tunes rock even harder than they preach. 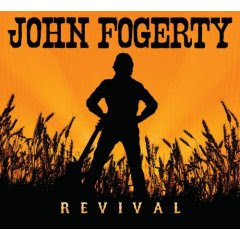 The remedy, Fogerty says, is a “gunslinger” to “tame this town” and bring justice. The precursor to this song is Neil Young’s “Looking for a Leader.” But “Gunslinger” is more artful. My only complaint with Revival is the overt sense of nostalgia. I can take the self-referential “Creedence Song.” Here the narrator isn’t rock star John Fogerty, but a kid whose dad was a rocker who won his mother’s love by playing Creedence songs. But harder to justify is “Summer of Love,” which talks about “freedom in the air” and “flower children lookin’ for the truth.” Fogerty even sneaks in a “Sunshine of Your Love” guitar lick. Come on, gunslinger. You shoot a lot straighter when you’re looking ahead.